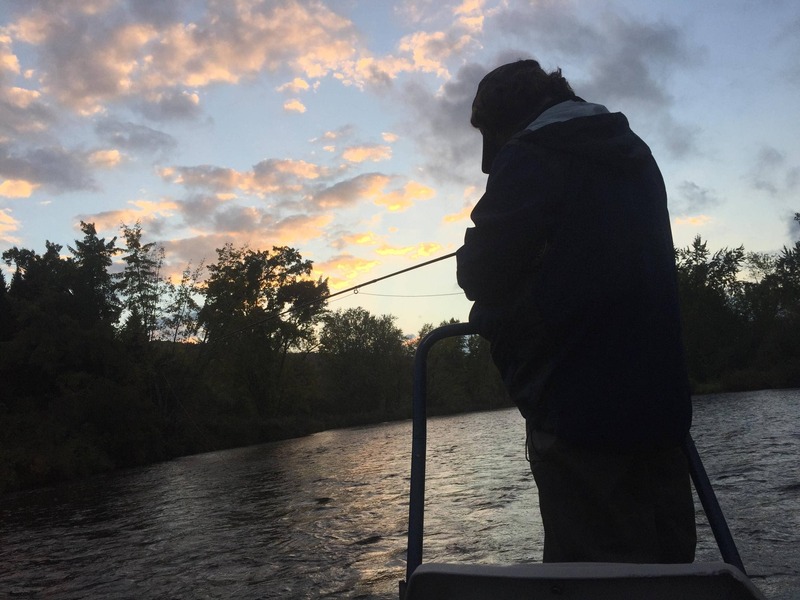 The Connecticut river is one of New Hampshire’s best cold tailwater fisheries, renown for its large Brown and Rainbow trout and best fished by float or on foot. We offer both options as guides on the CT. Float fishing on the Connecticut can prove an effective and efficient way to cover miles of river that normally isn’t easily accessible by foot. Starting from Indian Stream, the river has swift riffles and pocket water that progress into deep slow banks as you get further down river. The stretches of river from Beechers Falls and below has mixed patches of slow and fast runs until you get around Lyman Falls Dam were the river begins to pick up back up to near North Stratford. From there down the river is slows to a crawl and becomes more of a warm water species stretch until you reach the rivers’ reservoirs. Here, in the slower sections, both the Moore Reservoir and Comerford Reservoir provide excellent fishing opportunities, as well as below the dams that hold their water. 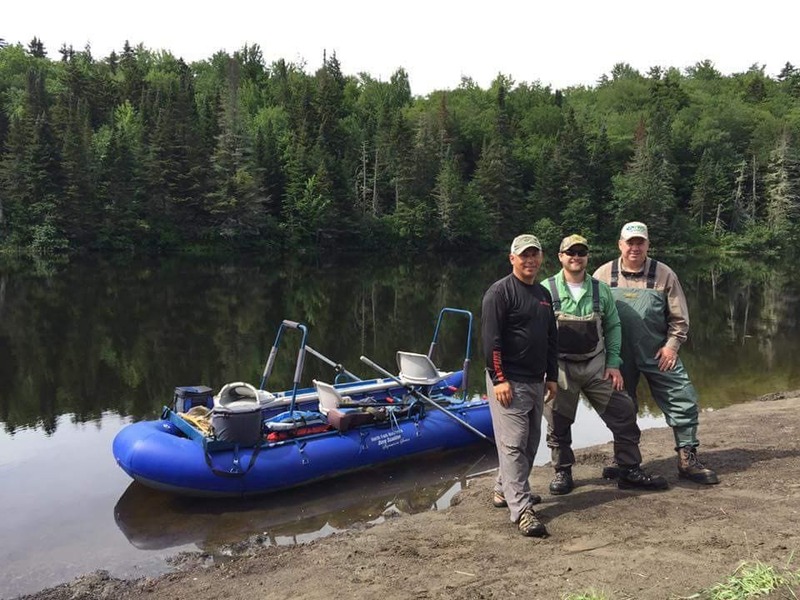 A vast majority of the trout are lingering underneath these dams, as the deep waters of the reservoirs restores fertility and cold water temperatures for a trophy trout fishery. Some of New Hampshire’s best pike fishing is in these reservoirs. These stretches of water are largely accessible only by boat and hold huge potential for anglers. 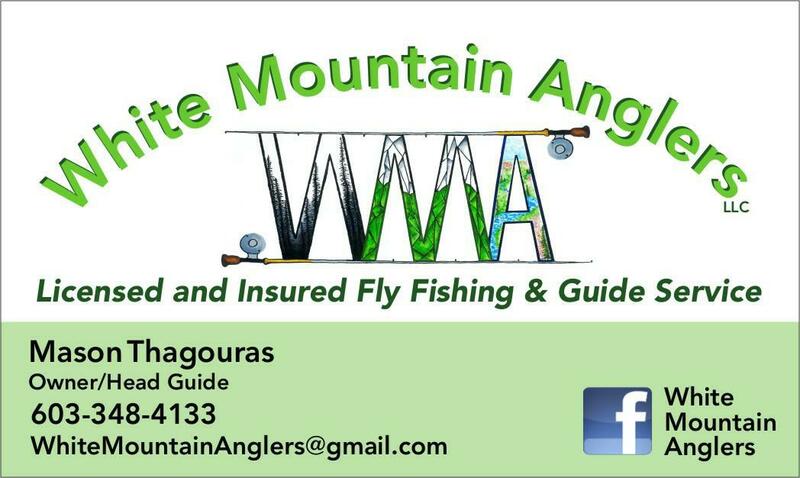 Wade fishing on the Connecticut river starts in the trophy sections between the First and Second Connecticut Lakes, and, beneath Francis Lake at Murphy Dam in Pittsburgh, NH. 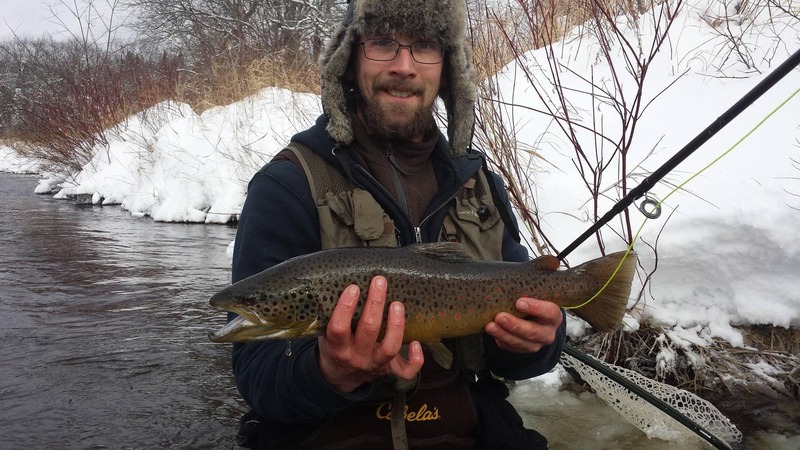 These trophy stretches offer exciting outdoor excursions with anglers hopping from pool to pool between swift cascading riffles, offering great landlocked salmon fishing early season as the fish move between water bodies. The beginning of the Connecticut river in Pittsburgh NH holds a great population of trout, hard fighting rainbow trout, brook trout and big browns that remain active nearly year round. There is great wade access all the way from Pittsburgh down through Beecher Falls and the Lyman Falls Dam. These stretches have Swift riffles, slow bends and pocket water that makes getting close to your target fast and fun. 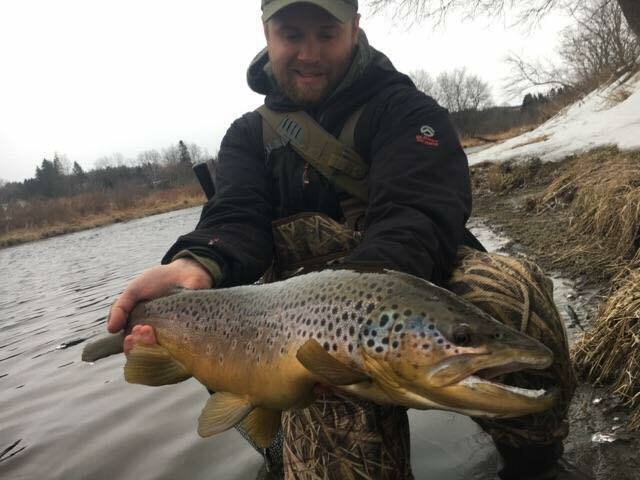 Big fish opportunities on the Connecticut can be the most exciting when going toe to toe in the water with these trout.